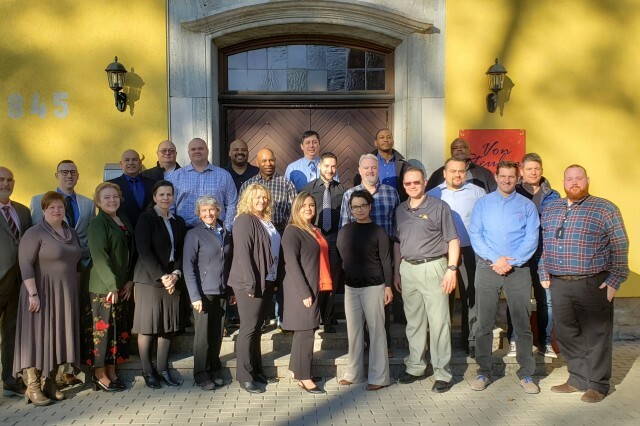 Ansbach, Germany -- The U.S. Army Garrison (USAG) Ansbach Workforce Development Program hosted Larry Doxtater, instructor for the Installation Management Command (IMCOM) Training Center, in conjunction with CP-29 to bring the Supervisor Leadership Course (SLC) to the European Theater. The IMCOM SLC for supervisors and non-supervisors is an intense five-day course designed for a diverse target audience with different attitudes, beliefs, perceptions, and varying interpersonal skill sets. The student-centered instruction employs adult learning principles, facilitated by using the Army Experiential Learning Model (ELM). Instructional activities include peer-to-peer feedback, problem solving, self-analysis/self-reflection, and role play. The Deputy to the Garrison Commander for USAG Ansbach, Ms. Kathleen Gavle, kicked of the event by addressing the Army professionals chosen to attend the course. She focused her comments on the Army professionals. "We owe our Soldiers, families, and civilians a high standard of service." She also said, "This course is a great opportunity to invest in you." The course was introspective at times and created a lot of deep thought. Each student was required to complete personalized leadership action plans to leverage strengths and improve upon weaknesses. Action plans included seven formative assessments: a written leadership philosophy, influencing attitudes, improving work relationships with various personalities, elevating leadership level, adapting to generations within the workplace, planning a crucial conversation, and improving trust. Students completing the course received an action plan workbook, personal self-assessments to ascertain their style under stress, and an emotional intelligence online assessment. This highly interactive course provided supervisors and non-supervisors with an overview of their roles and responsibilities in the workplace. Through facilitated activities, participants examined how their leadership style affects workers and how they can contribute to a positive culture and climate within their organization. CP-29 provided funding for the course; leading to an estimated $240,000 in cost savings for USAG Ansbach and USAG Wiesbaden. 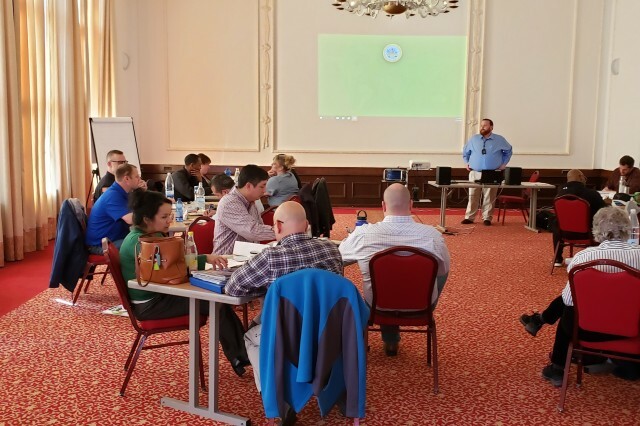 By providing the course in the European Theater, staff involvement was maximized (44 staff participated) at a great cost savings to the local garrisons.